Summer Baskets 34” x 34” One of the joys of summer is collecting baskets full of fresh flowers. 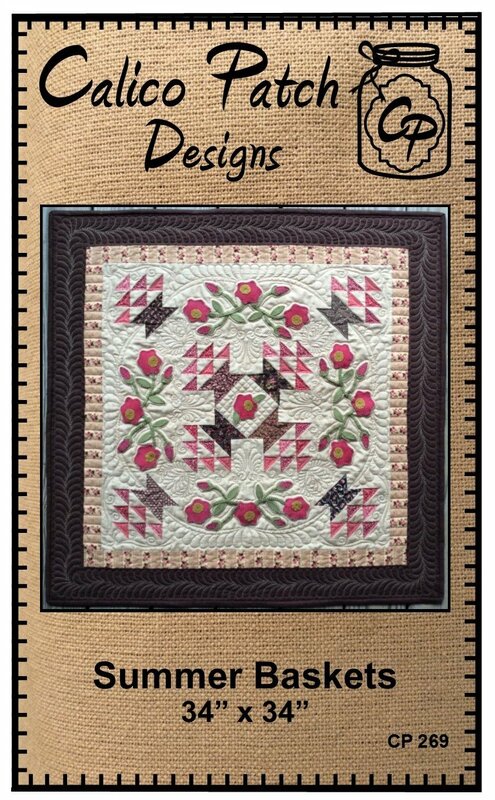 This cute wall hanging mixes wool applique and traditional piecing. Kit includes pattern, binding, wool, and die cut baskets!